Forests with pine trees reaching up to the blue waters, dozens of ancient monuments, seaside and mountain villages of seductive beauty; those are the parts that create the unique island of Thassos. The Archaeological Museum of Thassos, located in Limenas, was built in 1935 and was renovated and expanded in 1989-1990. It occupies an area of 2376 sq.m. and consists of 18 halls and 1700 items. It has collections from the 7th century BC until the 7th century AD. It is the most important museum in eastern Macedonia and Thrace. You can find exhibits of pottery, sculpture, coins, inscriptions and statues. 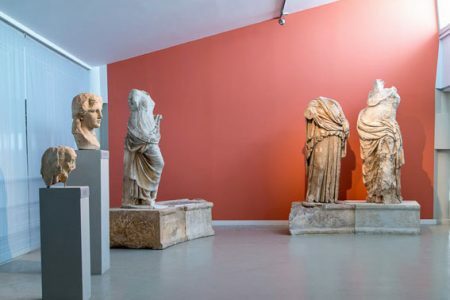 Among the most famous exhibits are the Kouros with a height of 3.5 meters, the statue of Andrianos, Pegasus, heads of men and women, as well as embossed representations. Built in a natural hollow of the hill in Limenas lies the ancient theater of Thassos and dates back to the 5th century BC. It was redesigned with marble in the 4th century BC but its previous form is not known. During the 1st century AD the theater was being used for dueling, for hunting, and for beast-fights. 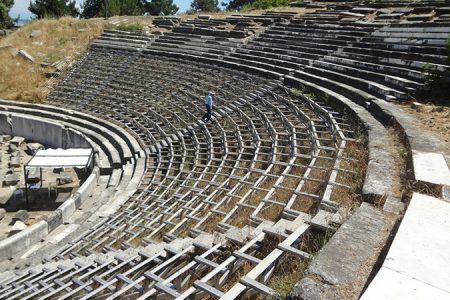 Today, the ancient theater is used by the Thassos festival and it hosts performances and concerts. It has panoramic views and can accommodate 2000 spectators. Thassos, like the rest of Greece, has a great history and many Folklore Museums. Some of them are: The Folklore Museum of Kallirachi, the Folklore Museum of Limenaria, the Folklore Museum of Skala Potamia and the Folklore Museum of Theologos. Each one has its own character and exhibits worth visiting. Thassos has a rich religious history with many churches and monasteries, which remain open every day. 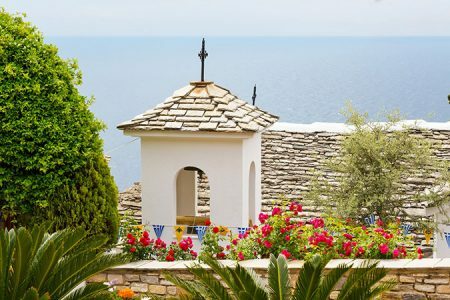 The monasteries of Saint Panteleimonas, Archangel Michael and the Assumption of the Virgin Mary (in Maries), and also the churches of Saint Athanasios, Saint Nikolaos and the Assumption are some of the religious pilgrimages you could visit.